Chancellor Philip Hammond is expected to keep the strings to the British state purse pretty tight as he unveils what’s likely to be the last budget before Prime Minister Theresa May triggers Article 50. He is, however, likely to reveal a sharp lift in the nation’s economic forecasts this Wednesday, with a 2 percent rise in growth in 2017 and smaller borrowing estimates. Hammond’s 2016 Autumn Statement predicted a slump in the country’s finances until 2021, to the tune of £122 billion (US$149 billion). 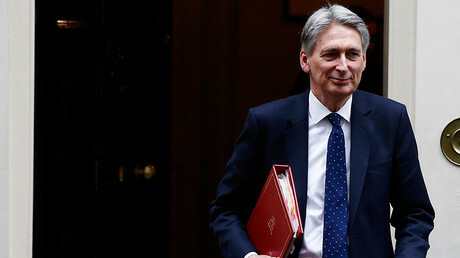 On the eve of his first proper budget, the chancellor was granted a boost by the Organisation for Economic Co-operation and Development (OECD), which supported the Treasury’s prognosis. But not all of the think tank’s predictions augur well for the government as it signaled turbulence ahead in the form of inflation and hesitant business investment following Brexit. "UK growth is expected to ease further as rising inflation weighs on real incomes and consumption, and business investment weakens amidst uncertainty about the United Kingdom's future trading relations with its partners," the OECD said. By 2018, the OECD estimates growth will be back at 1 percent. At the weekend, Hammond suggested there was no “pot of money” to be spent, despite claims that higher tax receipts could give him an extra £45 billion to play with. Plans drafted for the Autumn Statement last year hoped to leave the Treasury with an extra £27 billion for a Brexit rainy day. At the weekend, Hammond signaled some extra support for local authorities’ social care services to the tune of around £1 billion in England over the next two years. The money will be channeled into extra social care places and reforms to the funding of elderly and disability care. But a cash injection for the National Health Service (NHS) is unlikely. Hammond is also expected to try and appease thousands of business owners, who fear that Brexit will spell serious losses in trade. The Institute for Fiscal Studies believes firms in London will see an average rise of 11 percent in business rates, which would mean around an extra £800 million from the capital alone. 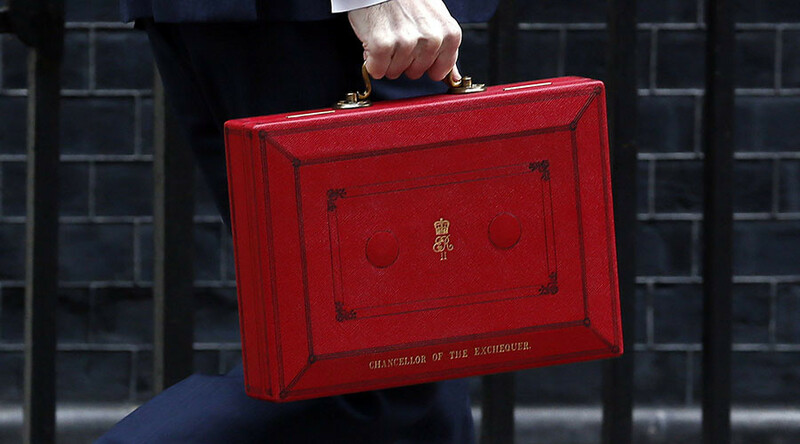 The Treasury is believed to be considering increasing taxes – namely those paid by the self-employed – by 3p per pound. This option would bring £1 billion into the state purse and bring rates in line with the 12 percent national insurance paid by employees. Plans to expand provisions for grammar schools were announced earlier in the week, with £500 million set aside for them in England. Around £320 million will be used for the construction of 140 new free schools. Opposition leader Jeremy Corbyn said the government’s plans around education were poorly thought through. “The issue isn't going around to develop selective education, the issue is supporting the schools that we've got and supporting the principle of local community schools rather than selection,” he told BBC Two's Victoria Derbyshire program. A further £500 million will be set aside for science and innovation, especially to support the development of robotics and artificial intelligence.